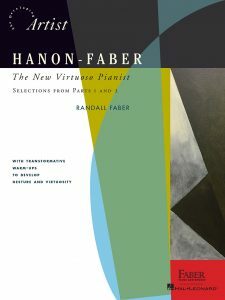 In keeping with the Year of Technique and Artistry, Nancy and Randall Faber are pleased to present Hanon‐Faber, The New Virtuoso Pianist—a fresh, new approach to the 150‐year‐old keyboard exercises of Charles‐Louis Hanon. Concert artists recognize that finger strength is subordinate to the coordinated use of fingers, wrist and arm, which together harness efficiencies of gravity and gesture. Emphasis on alignment and gesture develops reliable control and a colorful palette of expression. This edition revisits the Hanon exercises—presenting them in a system that develops coordination—not tension. The revised sequence of exercises and the carefully conceived warm‐ups for each help ensure appropriate relaxation and correct gesture—a much needed practice routine that newly develops The Virtuoso Pianist. Learn more and look inside the book.